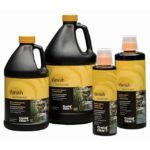 The health and beauty of all pond life depends on the quality of water added to the pond. Many tap water supplies used to fill garden ponds contain chlorine. While chlorine makes water safe for drinking it is highly toxic to pond life. Chlorine destroys fish gill tissue preventing the uptake of oxygen and the release of carbon dioxide resulting in fish death. Even low levels of chlorine irritate delicate skin tissue on frogs, snails, and salamanders. 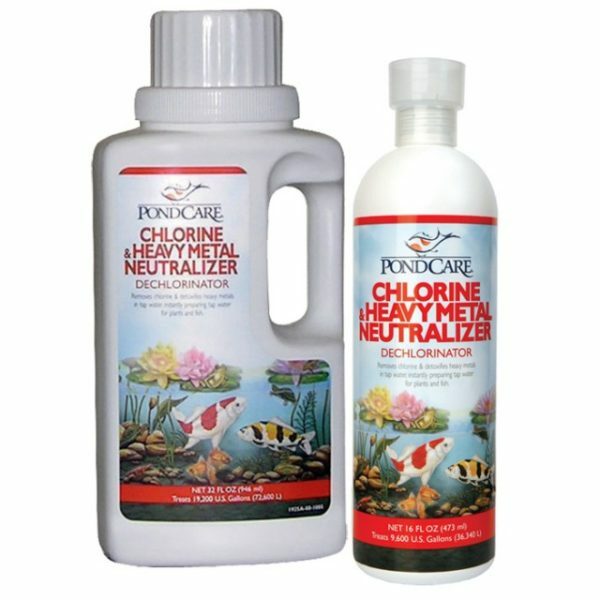 Pond Care Chlorine and Heavy Metal Neutralizer instantly neutralizes chlorine and detoxifies heavy metals in tap water and ponds. 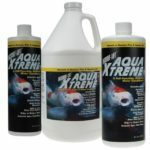 Chlorine and Heavy Metal Neutralizer is safe and non-toxic for fish, plants, and other pond life. 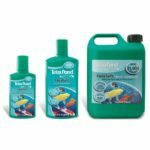 This product is naturally biodegradable and environmentally safe.